I didn't plan on becoming a writer, but I have a story to tell. The story of a little girl who knew what she wanted to say but couldn't make the words come out right. It's a story you probably know and share—why else would you be reading this blog? It's the story of a girl in search of her voice. Her name is Anna, and she has Childhood Apraxia of Speech. It took us a while to realize there was something wrong, but about the time she turned two we started to suspect it. I remember one day in particular. My wife Julia and I had taken Anna to our local Gymboree studio for open gym when a little voice caught our ears. We turned to see a small boy struggling to climb up the ladder behind Anna. His mom leaned down and gave him a boost. "Thank you," he said as he climbed the rest of the way up the play structure set in the center of the multi-colored classroom. "He's a beautiful little boy," Julia said. "Thank you," his mom replied. The words hit as hard as if the play structure had collapsed on top of us. Eighteen months old and his speech was clear and fluent. Anna was seven months older and we couldn't understand her. That's when we knew there was something wrong, but we didn't know what it was yet. "Meeeow." She couldn't say "cat" yet but we knew what she meant. "Doh, doh, doh." Her approximation of an oink. "What's that honey?" Julia asked. "I have no idea," I said. She made the sign for eat, putting her hand up to her mouth. "Eat," Julia said. "Eat what?" "No," Anna replied. Her "no" was unmistakable. "No oobie, oobie." Anna folded her arms in frustration. It was hard not to laugh at the gesture, but at the same time I felt so bad for her. "It's something she wants to eat." Julia said. Anna smiled and nodded. "Oobie." "So it's food, two syllables?" "Great," I said. "We're playing charades with a two year old." Anna put her hands on her hips. "Oobie ees." The hands on the hips were even cuter than the folded arms, but we kept our laughs to ourselves. "Oo - bie ees?" Julia sounded out the words, grasping at each syllable as it passed over her lips. I joined her. "Oo - bie ees." Over and over we both said it. "Oo . . . bie . . . ees." Then it hit me. Anna smiled and nodded again. "Oobie ees." She sounded so happy. Julia got up and got Anna the cookie while I smiled back at Anna. I was her hero for the moment, but before long I'd be that stupid grown-up who couldn't understand her. It frustrated Julia and I as much as it frustrated Anna. We knew she was smart, we knew she understood us, yet she just wasn't able to say what she wanted to say. Now this may sound strange, but we were fortunate that Anna had been born with a cleft lip. We took her to Doernbecher Children's Hospital in Portland for her surgery at four months old and returned annually for visits with the various members of their Cleft Team. Up to this point, we hadn't seen their Speech Language Pathologist, but given our concerns we made an appointment. The SLP saw Anna twice—in April and then October of 2008. The diagnosis? Childhood Apraxia of Speech. The recommended treatment? Speech therapy, twice a week. She began therapy right after her third birthday. When she started, she was all but unintelligible, but within the first year she made tremendous strides. By the time she turned four we could understand about 75% of what she said and total strangers got about half. She's progressed even farther since then, and though we still don't understand her all the time she is mostly understandable, even to strangers. She started kindergarten in September and has transitioned into a public school environment with no difficulties. And now we want to give back, so we are participating in our first Apraxia walk in Salem, Oregon, this Saturday. Marcie Phillips organized the walk in honor of her three-year-old daughter, Addison, who is the same age Anna was when she began her therapy. We hope that our participation will help her and so many other kids facing the same struggle Anna has faced every day for the last few years: The struggle to be understood. Every child deserves a voice. Biography: David Ozab is currently editing and revising his first non-fiction book, A Smile for Anna, which tells the story of his daughter’s cleft diagnosis and surgery, her difficulties with speech, and her incredible outgoing spirit through it all. He is a Contributing Editor at About This Particular Macintosh and a Guest Contributor at MyEugene. His writing has been (or will be) featured such diverse publications as Chicken Soup for the Soul, Errant Parent, and Catholic Digest. He is a stay-at-home dad and blogs about parenting and life at Fatherhood Etc (http://www.fatherhoodetc.com/). 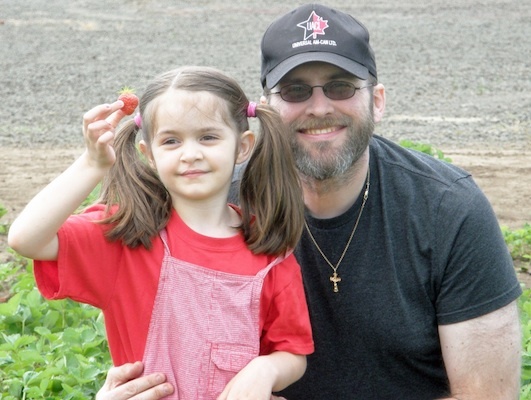 He lives in Oregon with his wife Julia, his daughter Anna, and two lop rabbits named Jellybean and Oreo. Thank you so much for this article! We just found out that our two-year-old son has CAS and this has been both a blessing and a struggle for us. Anna is so similar to our son it actually made me start to cry when reading this. It is wonderful to hear a success story and know that things do get better. Did you use sign language a lot to help her communicate? We are building more upon the signs he already knows and are finding that it is also helping his speech. Any tips or ideas you may have for parents just finding out? All Rights Reserved. 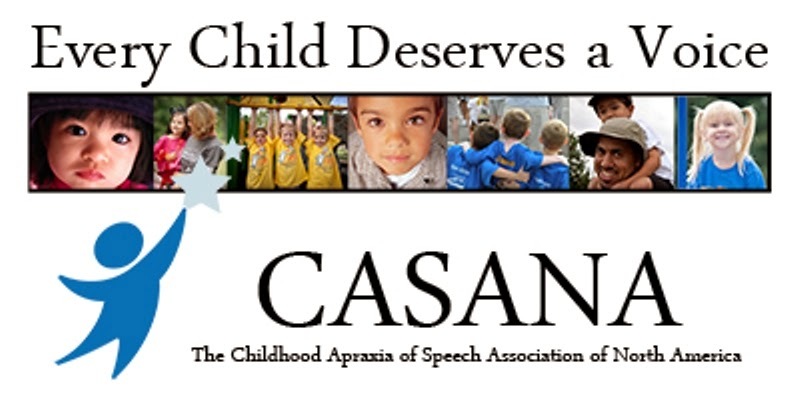 Childhood Apraxia of Speech Association of North America.. Simple theme. Powered by Blogger.